BREAD UPMA - This has to be the one of the simplest recipes we can prepare with Bread. It can be served as breakfast or with tea as an evening snack. Heat butter in a plan,add the bread slices, saute until they get roasted and turn slightly brown. Remove from the pan and keep it aside. Heat oil in a the pan, add mustard seed and let them pop. 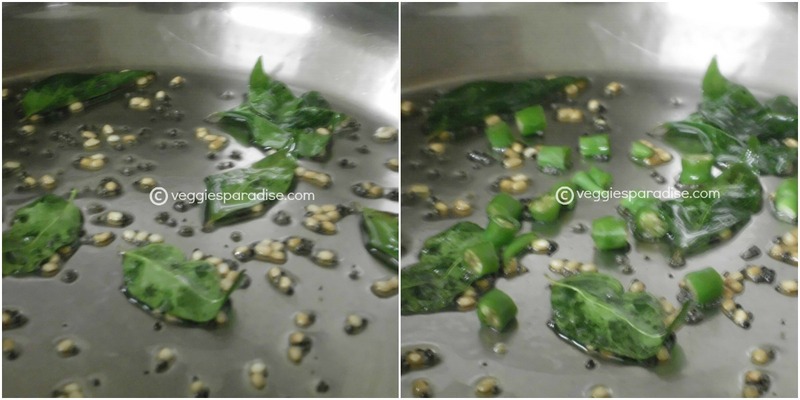 Add urad dal, curry leaves and green chillies, fry for few secs. Add the onions, and fry for a few seconds, when they turn soft , tip in the tomatoes. Sprinkle in the spice powders along with salt and cook for a couple of mins.,until the tomatoes turn soft , but not mushy. Fold in the roasted bread cubes and simmer for a couple of mins. 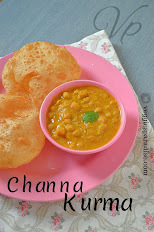 lovely picture..I love this snack..
Nice to see you posting again Aruna! upma looks delicious. 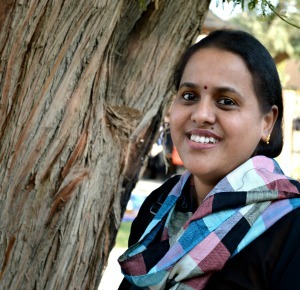 glad to see u back :) nice click.. 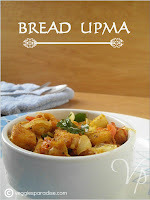 Simple and easy it is..
wow delicious upma,luks so tempting Aruna. 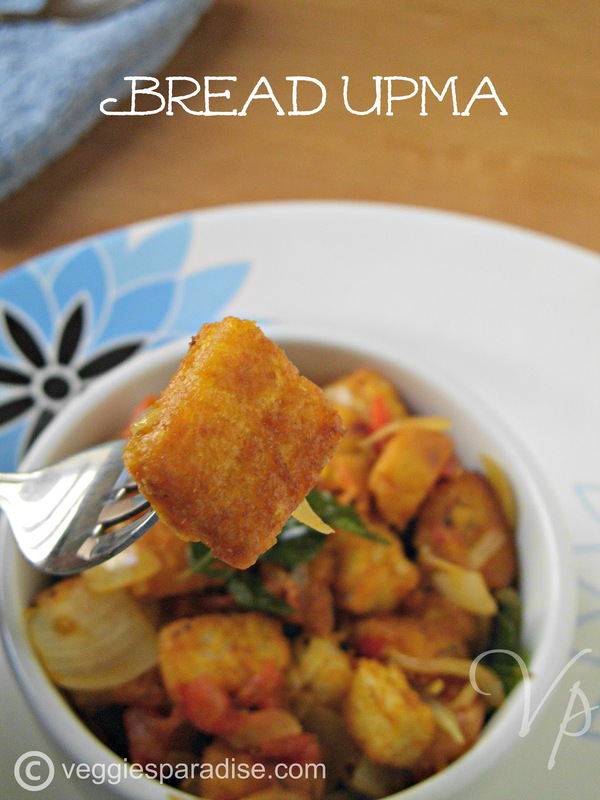 Stunning pictures Aruna, who will resist to this upma. 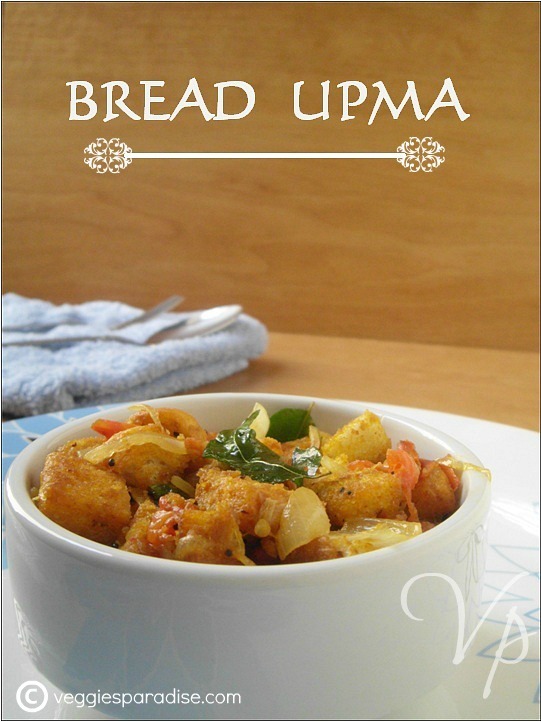 perfectly done and nice upma...love the clicks..
my granny used to make this.so yummy remembering out tea time.making it today. Simple & super delicious snack!!!! 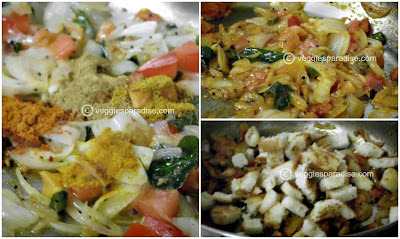 I am salivating seeing the clicks..
Nice step by step pictures.Yummy.